This article might appear exclusively for Christians, but I think everyone can get something out of it, so please give it a little time. During my quiet time today, the idea that there is a difference between knowing and understanding came to me. For the basis of this article, I am defining knowing as being confirmed as truth by our own personal spirit and understanding as a confirmation by our souls. Yes, there is a difference. The Bible reveals that the heart is the combination of our soul and spirit. Most people do not understand this or even realize that there is a difference. Our spirit is where we get our intuition, conscience and the ability to commune with God. Our soul is the source of our emotions, mind and will. Just to complete the understanding, our flesh is made up of three elements too. They are the sensory, circular and nervous systems. For the basis of this article, we have no need to discuss the systems of the flesh any further. As always, to explain further, I had to come up with examples. My mind immediately went to my wife Buffy and her love for animals and her passion for horses in particular. I can understand (my mind and emotions for my wife) her passion for horses. I see that it makes her happy and joyful. I understand that is not work to her, but a real need to be out with her animals. It gives her true peace. I can articulate this. I can understand this, but I do not know this. You see, my spirit does not know how her spirit feels when it comes to her animals. I do not have her same passion for horses. My mind can intellectually understand, but my spirit does not know the joy and pleasure she enjoys. My spirit is not moved, like her spirit is, and therefore does not confirm it to be true for me. Therefore, I do not know what horses mean to her. Really the same thing could be said to those that have and don’t have children. Those that have buried a child and those that have not. Those that have loved deeply and sadly to those that have never loved anyone other than themselves. You don’t Know what you don’t Know. Using this same example, Buffy can not relate to people that dislike animals. She can not commune with them from her soul or her spirit. It makes no sense to her on either level. If you simply were not crazy about animals, well that she understands. You do not have her passion (spiritual knowing), but you at least admire or find them beautiful (soul understanding). But, if you dislike animals, she can not commune with you in any fashion. Now, when the Bible talks about a Believer becoming a new creation, I believe in this life they are talking about our spirit exclusively. Since many people don’t understand the difference between the soul and the spirit, they assume this means their behavior and their condition as a Christian (their soul and flesh). This is exactly wrong. Our soul and flesh are still sinful. Nothing changed there. 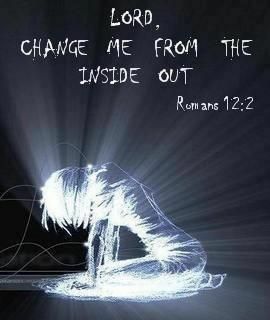 What changed is our spirit and the presence and access now given to our spirit to the Holy Spirit. Miles Stanford talks a lot about our Position as Christians and our Condition as Christians. Our Position (spirit) as a Christian is that New Creation. Our Position is perfect, eternally secure and already enjoying eternal salvation. Our Position is in Christ and as adoptive sons / daughters of God The Father. Our Condition (soul and flesh) is still struggling with sin. It is still prone to sin. It is still like every other non-believer. Why does this matter? Well if you are a non-believer, it might give you a little more insight to what Christianity is truly all about. You might Understand (soul) a little more, but you do not know (spirit) as of yet. But now you understand, what you did not understand before. You might not have known, there is a fundamental difference between you and the Christians you admire. To the believer this is also very important. It explains why a diverse group of committed Christians can work together, feel like they are family and worship the one true God. We all know the same Truth. It might also give you some insight as to why you are struggling as a Christian. Since we are now a new creation (spirit) how do you define yourself. Do you see yourself based upon your Position (spiritual) or based upon your Condition (soul and flesh)? Do you first identify yourself based upon your Position as an eternally secure born again Child of God or do you identify yourself based upon your sinful Condition (soul and flesh)? I can not mature as a Christian if I identify as a sinner, because my soul and flesh are not a New Creation. If I identify based upon Position as a New Creation, then I enable my spirit to be empowered by the Holy Spirit to slowly gain control over the actions, desires and impulses of our Condition (soul and flesh). We hand the keys of our actions and thoughts to the Holy Spirit, which is the only source of power to change the soul and flesh, and therefore our Condition. I will leave all of you with this simple question. What is in charge of your life? Is it your spirit or is it your soul and flesh? Your answer will reveal the source of your frustration, failings and future. So very true! Thanks for sharing your thoughts. Thank you Cary. I appreciate you taking the time to read the article. God is really trying to convey this to me. It keeps on getting repeated over and over again through different venues. I am trying to pay attention.